Right from the first spray it is clear that Interlude Woman is an incredibly unusual fragrance. A unique floral chypre like no other, it opens with a cacophony of aromas; coffee, honey and jasmine to name just a few. A splash of fruit (bergamot, grapefruit, dates and kiwi) like a big neon green streak of paint cuts through the warmer, aromatic notes. It really does create a striking contrast, and whilst it may be slightly perplexing and chaotic (even disturbing) at first, with time it really pulls you in. There is method to this madness. Syrupy, honeyed flowers (rose & orange blossom) and the sour, medicinal funk of oud intertwine in the heart, each fighting for dominance with the harmony between the two lying in the discord that they create together. It’s this challenging aspect of Interlude Woman that makes it so interesting and perseverance is the key because once you love it there is absolutely no turning back. With time the more classic chypre notes become more prominent. Sour, mossy patchouli and oak moss are shrouded in a creamy soft, fluffy cloud of vanilla, benzoin and sandalwood, adding a more contemporary touch to the chypre structure. The spices and fruits, which become fermented and boozy with time, are deeply set into all that womanly warmth and add a sense of plush femininity. It would be safe to say that Interlude Woman is not at all what I expected, but I’m glad it isn’t. I see it as a real shape-shifter, with each sniff it seems to switch the balance to show off yet another surprising facet not experienced before. 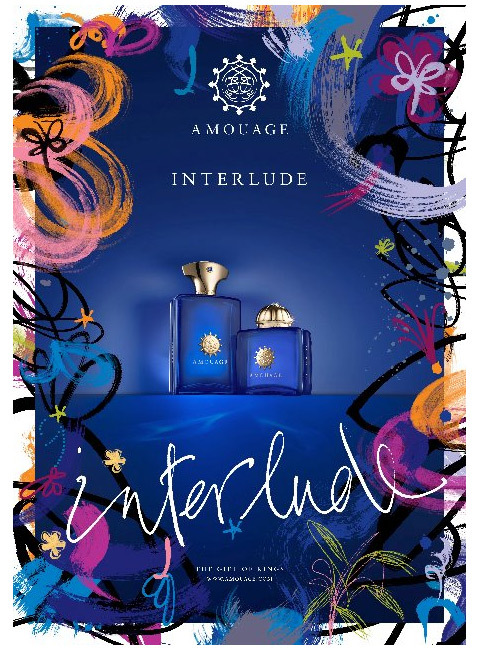 Interlude Woman is a fragrance that takes you away from the chaos of life by keeping you on your toes and distracting you with its unusual charm. When I received my samples of Interlude Woman and Man I decided to give Woman a full wearing first (no surprises there really) and bullied Nigel (my partner) into wearing Man. Cue me following him around like a gooey-eyed idiot all day wondering what it was that made him smell so damn delicious. Thus is the power of Interlude Man. Interlude Man opens with a bonfire-and-a-half’s worth of smoke. What’s interesting is that this glorious leather and wood smoke is instantaneously oozing with sweet, creamy and spicy vanilla. A sprinkling of herbs goes a little way to curb the sweetness, allowing Interlude Man to be shaped in two perfect proportions of smoke and vanilla. To me, the rest of the development focuses on an occord of leather, opoponax and amber. The amber isn’t entirely dissimilar to that of Amouage’s most recent amber-offering Opus VI, but it is decidedly more smoky-spicy and lacks the delicious gourmand quality of the Opus. Still, it’s just as addictive, if not more so and thankfully it avoids heavy animalics to bolster the leather, as so many similar fragrances do (I’m looking at you Cuir). The creamy, snuggly base of vanilla, patchouli and sandalwood retains a good degree of the smoke that dominates Interlude Man’s time spent on the skin, and that’s fine by me because when you get to the base, if you haven’t eaten yourself/been eaten by someone else that is, you will be more than happy for it to last forever. Interlude Man is my favourite Amouage masculine so far and unlike my second favourite (Epic Man) which I enjoy immensely but wouldn’t necessarily wear, I really can see Interlude Man being a staple fragrance in my collection, it strikes the right balance between smoky masculinity and sweet gourmand cuddliness that makes it perfect enough to wear when you’re in the mood to ensnare unsuspecting guys/girls with your mighty fine smell. Interlude Woman and Man will be available in 50ml and 100ml Eau de Parfum, with prices starting at £155 for Woman and £140 for Man. Prices TBC. Samples via Amouage. Notes via fragrantica.com. Image 1 The Real Amouage Page on Facebook. Image 2 & 3 fragrantica.com. &  fragrantica.com. 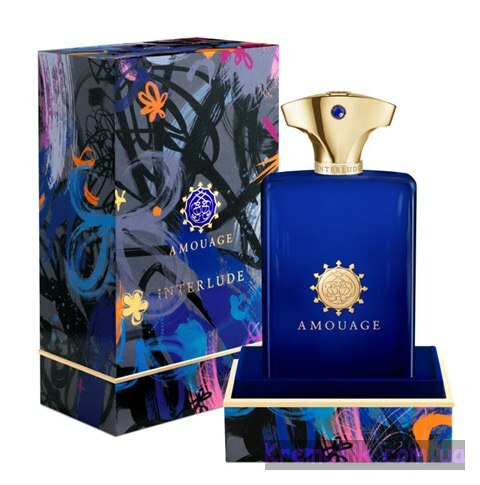 Posted in Amouage, Chypre, Feminine, Floral, Leather, Masculine, Perfume Reviews, Spicy, Woody and tagged Amouage, Christopher Chong, Chypre, Feminine, Floral, Interlude, Interlude Man, Interlude Woman, Leather, Masculine, Spicy, Woody. Bookmark the permalink. You totally nailed them, T! Love your review! Hi Dubaiscents, thanks for your comment! Interlude Man really is quite something isn’t it? I hope you manage to get both! (So now I’m going to have to smell it – Damn !) … If I actually land up linking it it will certainly be the surprise of the year. Interlude Man is very you I think. It shocked me because it really isn’t my style of fragrance at all but I really love it. Woman is a little scary at first, but I find it to be utterly beguiling. Definitely worth a sniff. Oooh, I wonder if I could pull off Interlude Man? I love smoke and the combination with vanilla and amber does sound yummy. Plus I loved Opus VI. I’m just worried it’s too dry/macho for me. Hope they both come to London soon so I can try them. Your reviews of them are really evocative. Interlude Woman sounds like a grower – well worth the time and effort. Funny to think of you trailing after Nigel like a puppy dog!. I reckon you could give it a pretty good go. It would be interesting to see how it smells on a Woman. I do find most of the Amouage’s to be pretty easy to pull of, gender aside. Tara, definitely give the Man a try at least. I’m a woman and absolutely love the Man and ended up getting that despite also loving the Woman version. As Candy Perfume Boy says, the smokiness has a great creamy vanilla base that keeps it from being outrageously manly (IMHO). I hope other people agree when they smell it on me. I see both versions as great unisex fragrances. These just may be the two fragrances that will help me understand the Amouage appeal – they look wonderful. Usually it’s only the woman’s version I fall in love with when Amouage does its woman/man duo of fragrances. 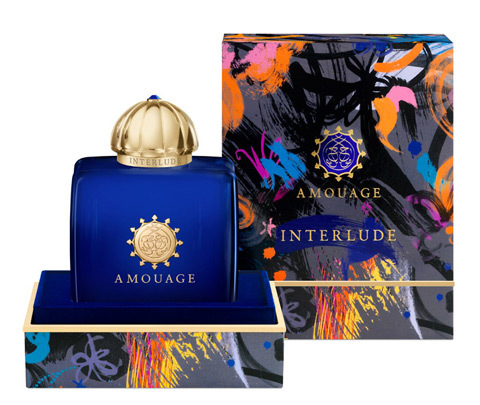 So far, Dia pour homme has been the only exception, but you make both of these Interludes sound so fabulous that I have a sneaking suspicion that I’m going to fall for both. Eeek! How is it that so many outrageously good perfumes are coming out right now at the same time? It simply isn’t fair is it? There’s just too much to love at the moment! Like you I tend to go for the Women’s when it comes to Amouage. The only exceptions are Memoir and probably Interlude. I got bitten by the Amouage bug only recently. So far, it’s only been sniffed by dabbing from vials. But recently I got 5 ml of Memoir Woman in a swap. Wow, you need to spray it to get the full effect! Based on what I’ve read Interlude may appeal to me, as Memoir is kind of a crazy scent. Thanks for the thorough review. Oh yes, they really do need to be sprayed! Interlude is definitely worth a try, especially if you liked Memoir. I’m glad to have changed your mind, both Interludes are most definitely worth a try! I agree with your point of view for Interlude Man. My perception of it was quite similar and my review of it, thought written differently seems to gear in the same direction as the one you’ve written. Still have to try Interlude Woman (tomorrow) and think about another review. I’m so glad to hear that we’re on the same page. I’ll head over to your blog to read your review. Really thorough, thanks so much! I love the fact that both genders where considered in the review. I have younger siblings that are fraternal twins (boy and girl) and think this may be a good idea to get a nice fragrance for them. I personally have been using Atelier Cologne for the year. Which Atelier Cologne have you been using? Saturday Poll: Which Mugler Are You?